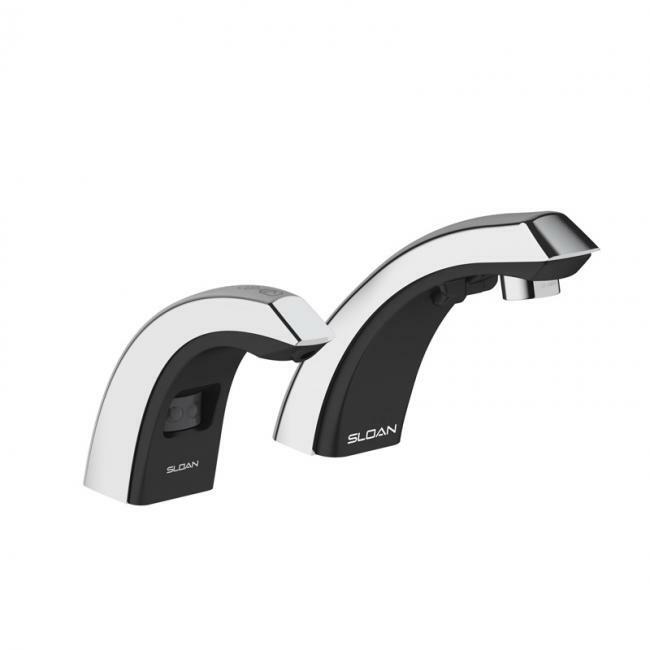 Sloan Announces New SloanStone® Sink Designs - Service Reps, Inc.
Three new models provide options for your high-traffic restrooms. 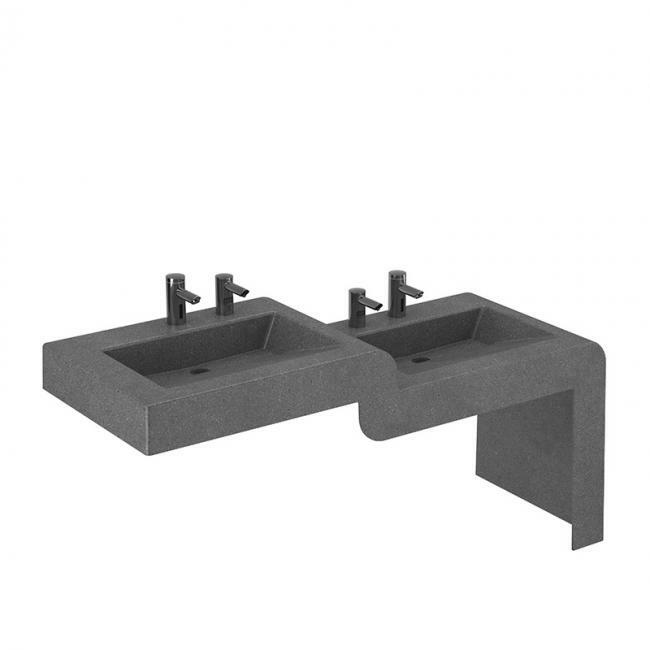 Thoughtfully designed sinks that exceed all demands. 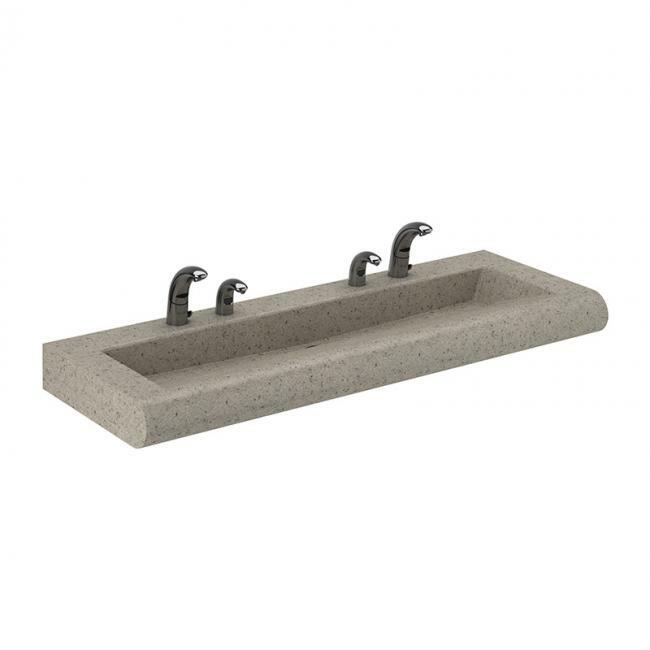 SloanStone® Sink Systems offer the ultimate solution for any high-traffic commercial restroom. 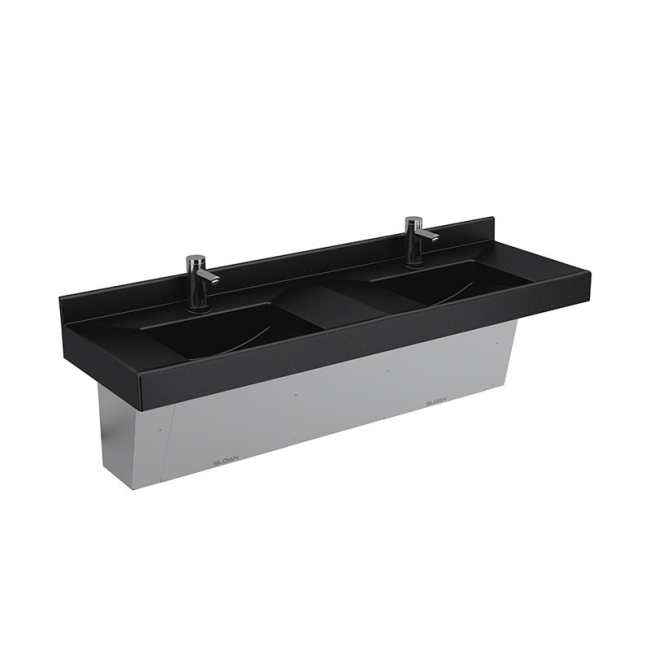 These sinks are engineered to be vandal resistant and easily serviced and cleaned. 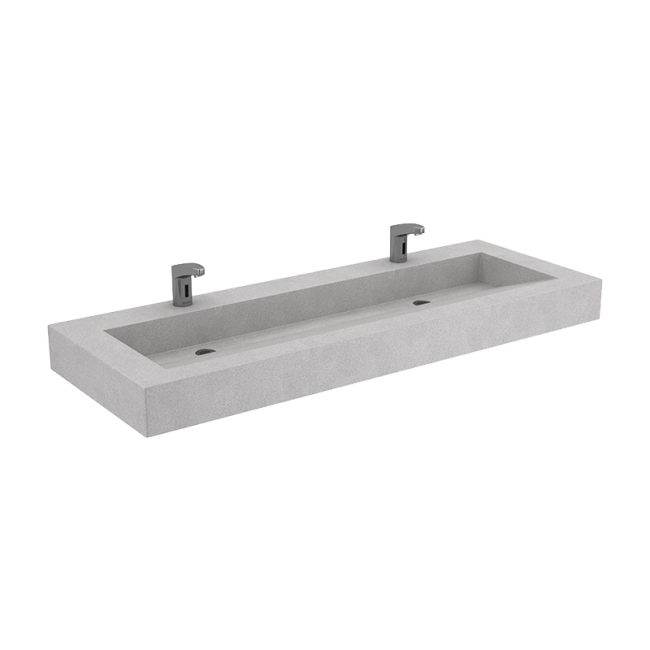 Meet the ELA (Electronic Lavatory Arrowhead) sink. A unique design, the Arrowhead comes to a slight point with an open front edge for a modern aesthetic. 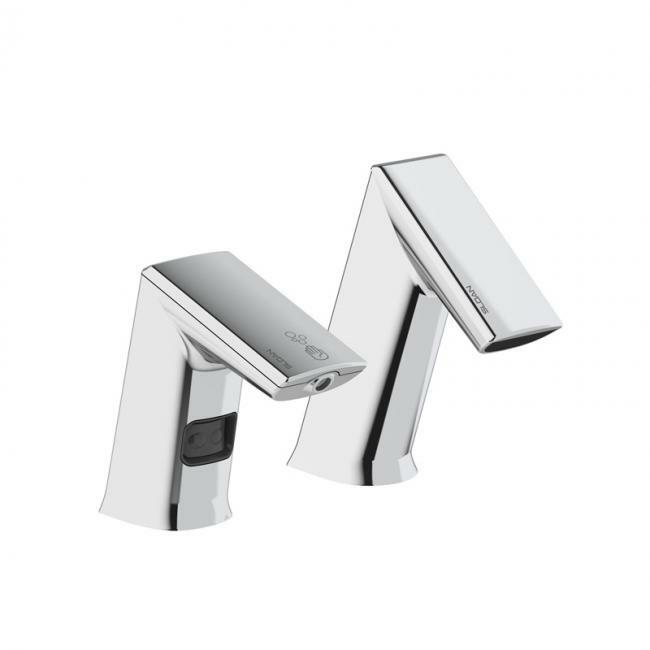 SloanStone Arrowhead ELA-82000 in Matrix Frost shown with Combination ESD-501 (EFX-250 Faucet and ESD-500 Soap Dispenser) in Polished Chrome. 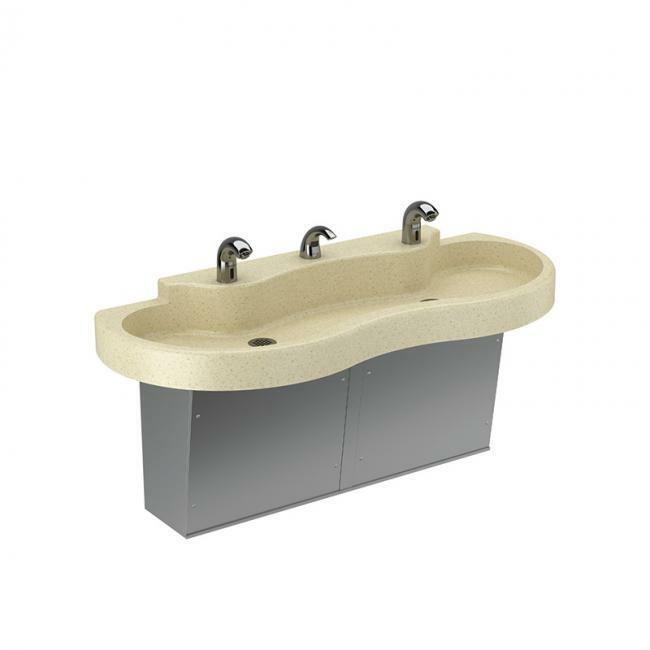 Meet the ELWF (Electronic Lavatory Waterfall) sink. 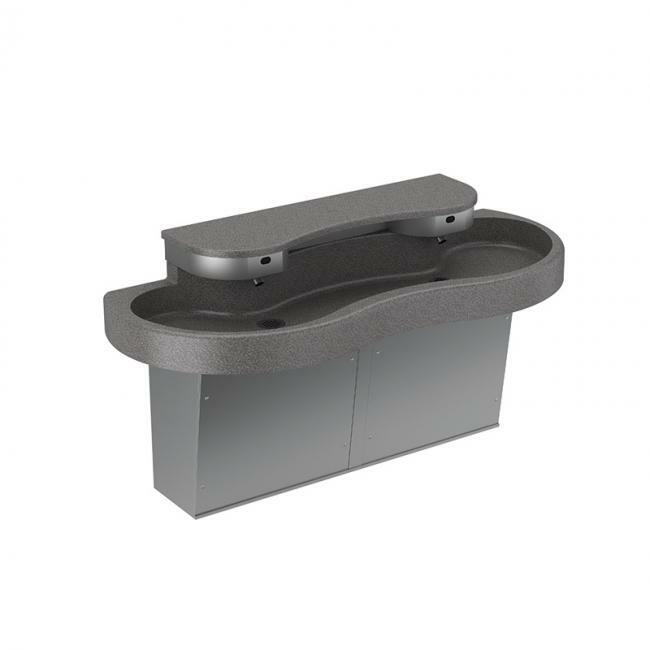 Great for mixed adult and child locations, this ADA friendly design provides one or more adult height stations paired with one child height station. 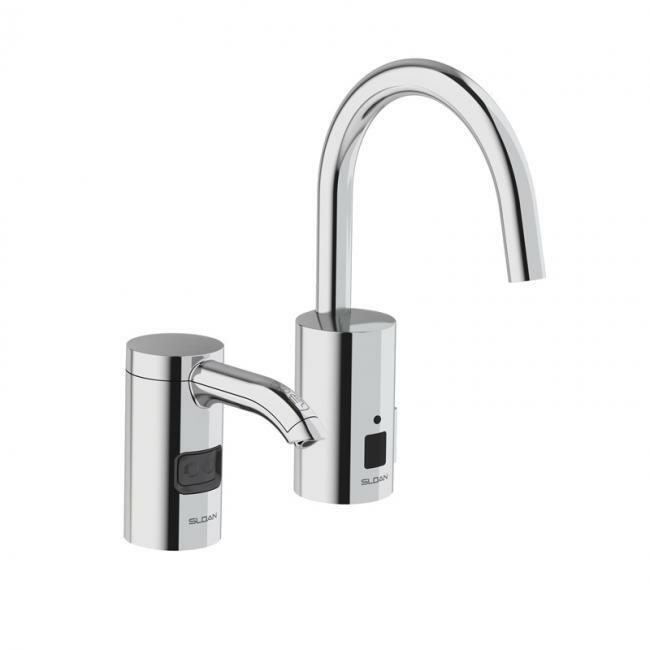 SloanStone Waterfall ELWF-82000 in Matrix Light Gray shown with EAF-250 Faucet and ESD-2000 Soap Dispenser in Brushed Stainless. Meet the new Round Front. Meet the ELRF (Electronic Lavatory Round Front) sink. 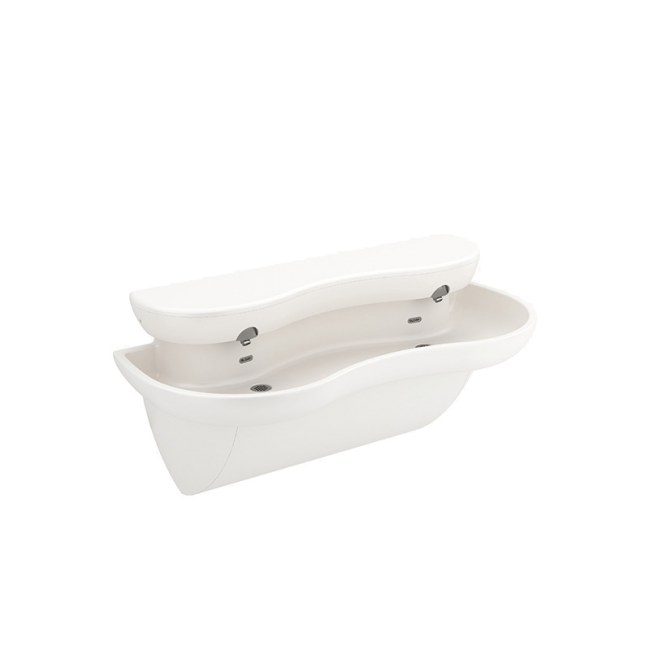 Designed with limited corners is the perfect choice for restrooms most used by children. 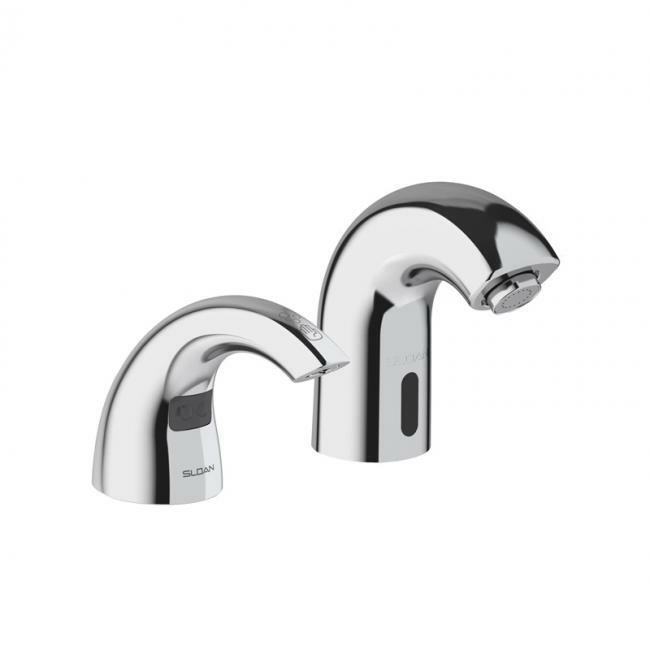 SloanStone Round Front ELRF-84000 in White shown with Combination ESD-1501 (EAF-150 Faucet and ESD-1500 Soap Dispenser) in Polished Chrome. Bringing clean and modern appeal to the high-traffic commercial restroom. Making a lasting impression where function, style and durability are demanded. Rounded front for locations with children. Unique open front, angled edge for a modern aesthetic. One or more adult height stations paired with one child height station. 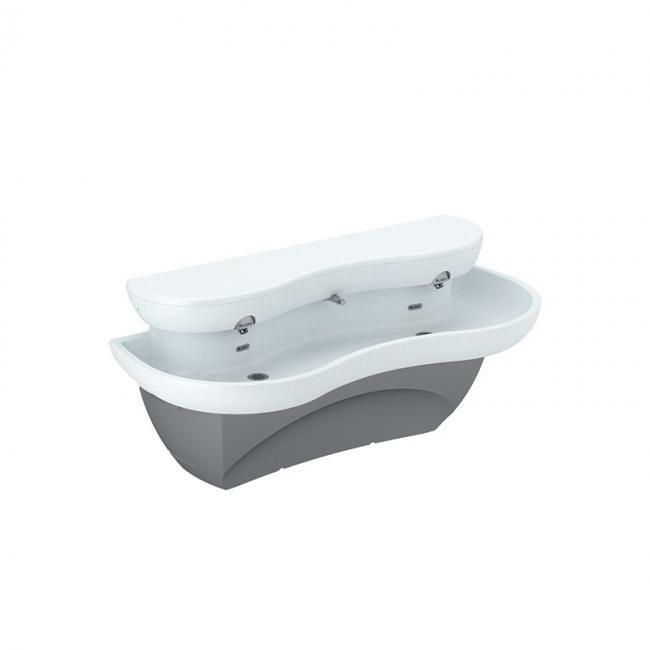 A strong presence with a dramatically angled basin. Sleek and clean with a gentle slope to ensure dry surfaces. 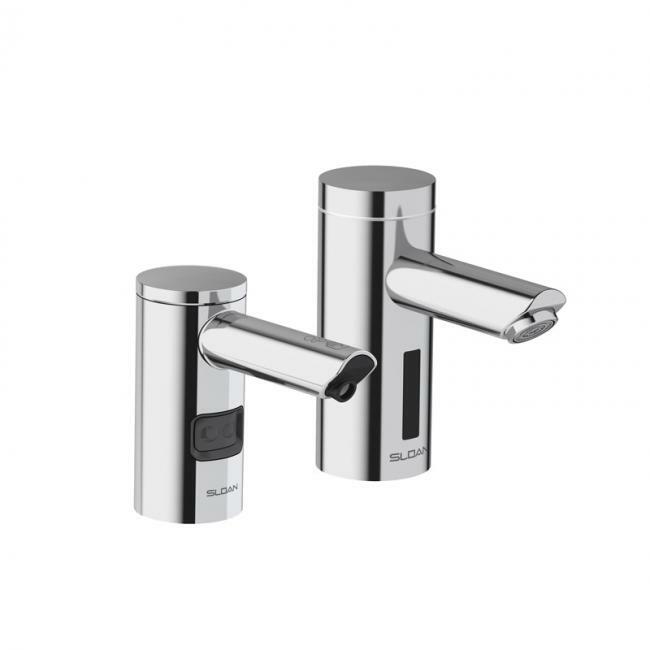 A cohesive look with shared soap dispensers. A modern edgeless deck paired with an integrated enclosure. Soft curves provide a friendly and durable aesthetic. 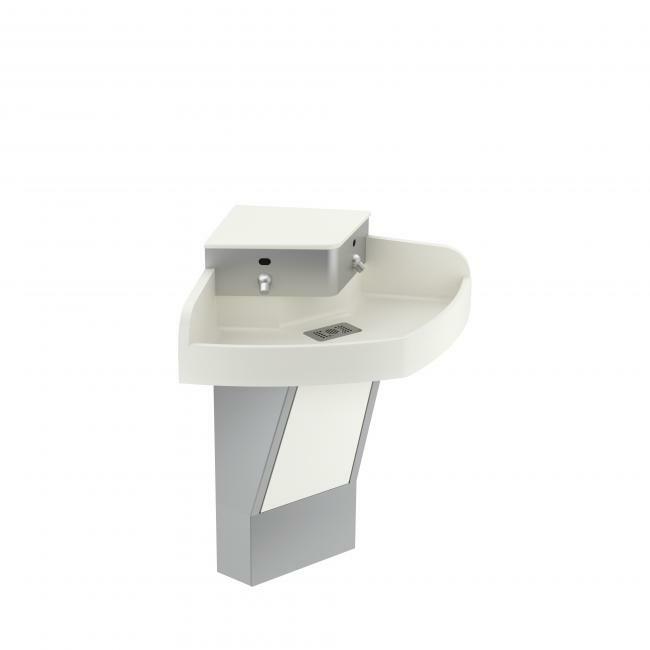 Vandal resistant solid surface system with integrated technology. 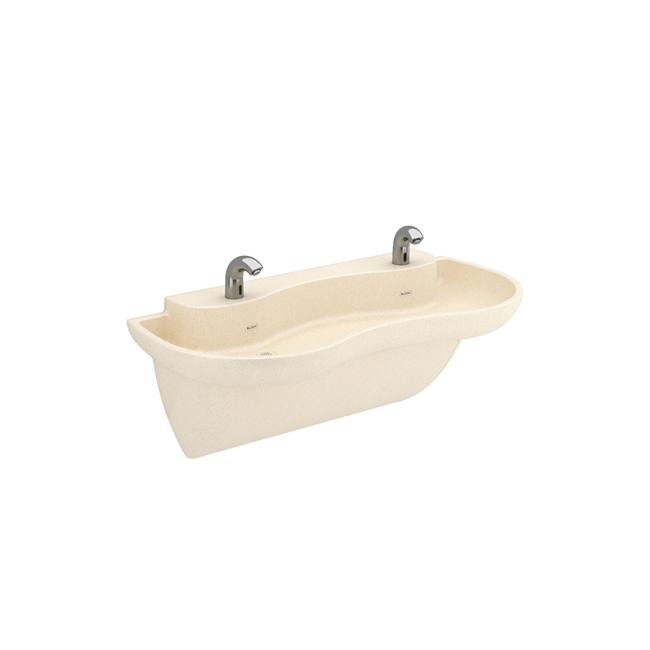 Aesthetically pleasing soft contoured one-piece continuous basin. 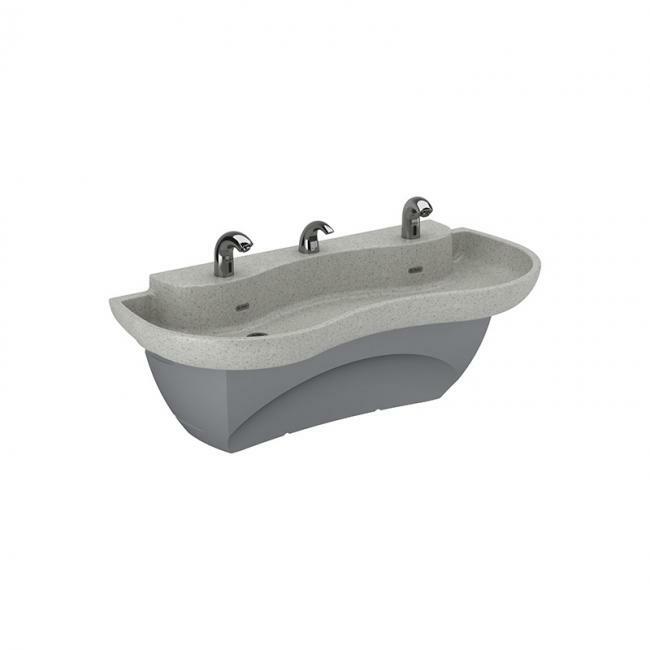 Soft contoured one-piece continuous basin with matching enclosure. 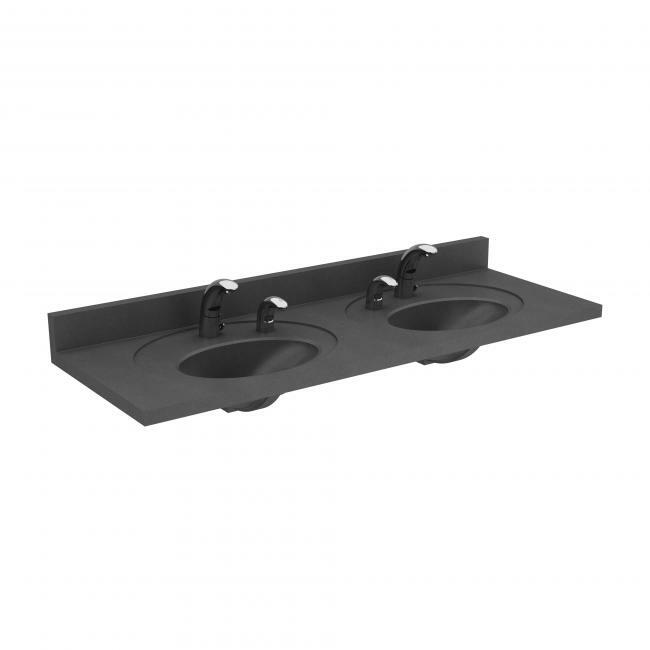 A flexible sink system fit for corners and small spaces. 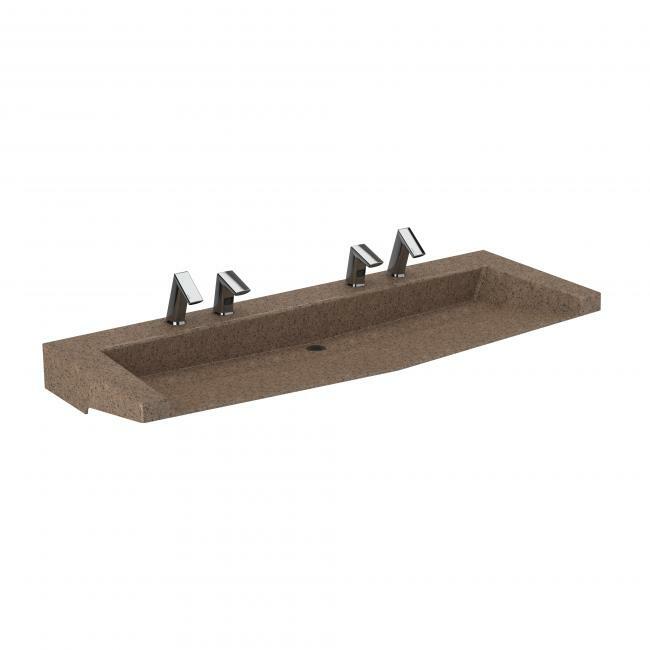 Choose from a selection of solid and speckled colors for your SloanStone Sink System. 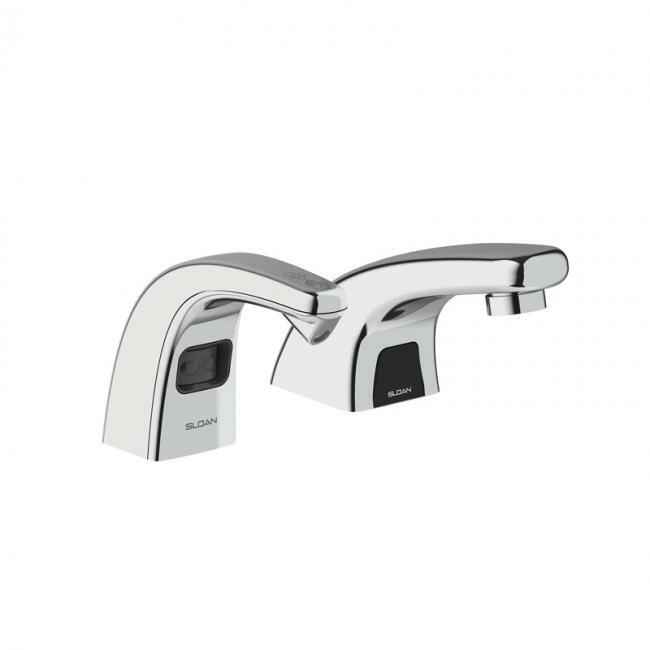 For a consistent on-deck aesthetic, select from one of our seven new sensor-activated faucet and soap dispensers combination or mix and match to create your own idea. 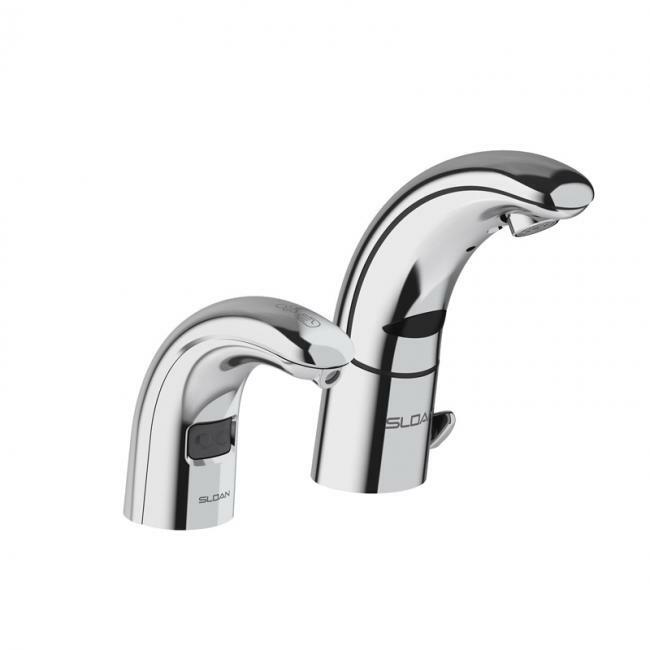 Designed to pair perfectly with the Sloan faucets. Select combinations are available in Sloan special finishes.